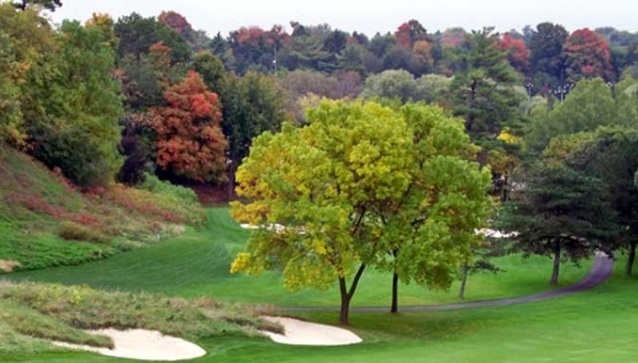 The world of private golf clubs in Toronto is changing. One doesn’t have to look too hard to count at least a dozen top clubs in the city that have made strategic investments in their golf course, clubhouse or other amenities in the past few years, all in the name of attracting new members and keeping the existing ones happy. Bayview Golf & Country Club, located at Leslie & Steeles in Thornhill, is well on the way to completing their own $13 million dollar clubhouse expansion, which is scheduled to be completed in July. It’s a tremendous undertaking for any club but a necessary one to compete in today’s market. The new 13,300 square foot aquatic complex includes a splash pool for kids, family dining and plenty of room to relax. The competition for new members is fierce. But clubs aren’t only competing against each other, they’re also up against a multitude of sporting activities and social options. And to up the ante even further, it’s not usually just one family member looking for a golf club, it’s an entire family looking for a country club. That factor is driving the recent trend among downtown golf clubs to add more amenities to their clubhouse such as pools, fitness centres, tennis courts, golf simulators and special function rooms for entertaining, socializing and learning that will appeal to every age group. Layered on the new amenities is a dizzying schedule of social activities and friendly competitions for adults and kids that turn the golf club into a country club – right in the heart of the city. A new 13,300 square foot swimming complex with a grand main pool, children’s splash pool and resort-style decks for sunning and relaxing. 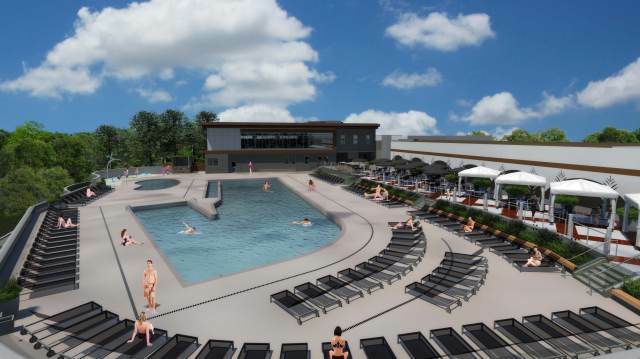 A new 4,000 square foot Fitness Centre overlooking the swimming pool, outfitted with state-of-the-art equipment and 1,000 square feet of studios for specialty programs and classes. A new poolside dining area for a resort-style outdoor lunch or dinner experience. New high-definition indoor Golf Simulators for year-round social play, coaching and practicing. Upgraded banquet facilities and meeting rooms. Stuart Auld, President of Bayview, believes Bayview is particularly well positioned moving forward. As Stuart says, location is a key. Many private club members work downtown and proximity to the golf course for entertaining clients or just relaxing with friends and family after work is critical. Nobody wants to spend any extra time commuting. In fact, commuting anywhere has become such an issue that many Torontonians are passing on the idea of a family cottage for something closer to home where they can have all the perks without hours spent in traffic. Bayview’s General Manager Joe Coleman refers to the club as an oasis in the middle of the city. With all the talk about new clubhouses, country club lifestyles and family programs, it’s important not to forget the golf course. Bayview was designed by Hall of Fame golf architect Robbie Robinson and opened in 1960. The course features gently rolling terrain with gorgeous mature trees framing the fairways and large contoured greens surrounded by spectacular white sand bunkers. It’s always impeccably groomed and over the years has been the host of countless professional and amateur championships. A recent renovation by renowned course designer Doug Carrick further added to the beauty and challenge of Bayview, which is consistently ranked among Score Magazine’s Top 100 courses in Canada. A Top 100 golf course, tennis, pools, professionally staffed fitness centre, exceptional dining, and family activities – all in the heart of the city. Is there anything else a member could want? Of course. When Bayview members travel, there are reciprocal privileges at other private clubs throughout the world too. Bayview is certainly making it attractive for new members to join. Until the end of July, the club is offering up to 50% off regular Entrance Fees for both individual and family options and the club has trial memberships and flexible payment programs as well. 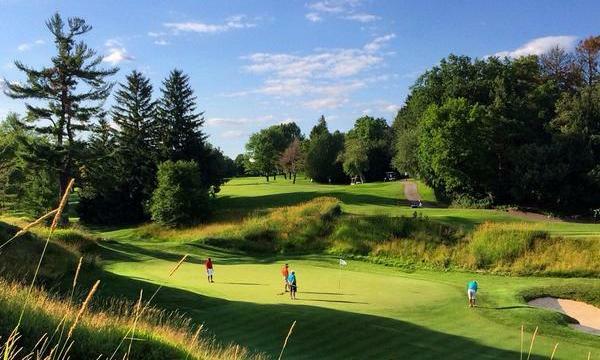 Summit abolishes initiation fees. Bold move or desperate measure?